The RSPB’s Hobbister Reserve was our first stop today. We walked around the moor hearing several birds and spotting a skylark (too far away to photograph) and a wheatear (nearer but bobbing around too quickly for me to get a shot). We met a few other people, one of whom was keen to find out if we had seen a hen harrier. Unfortunately the raptor total was zero. 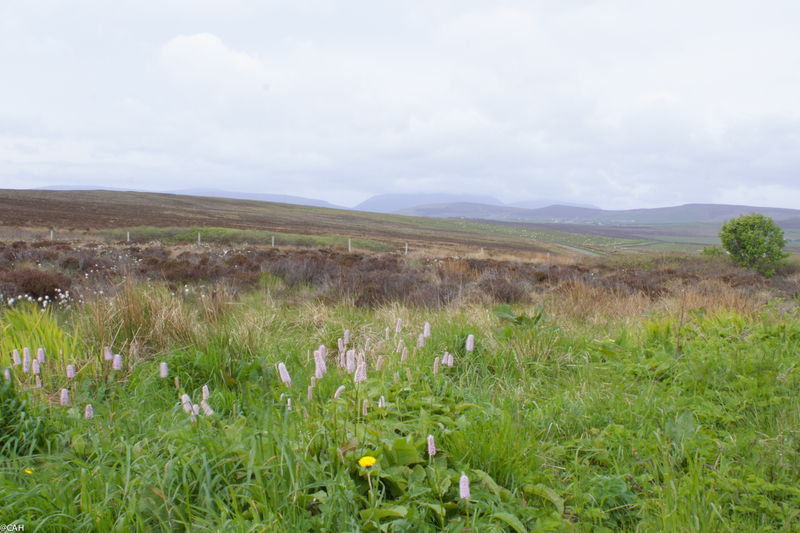 Nearby there was a large peat-cutting operation which turned out to be for Highland Park Distillery. 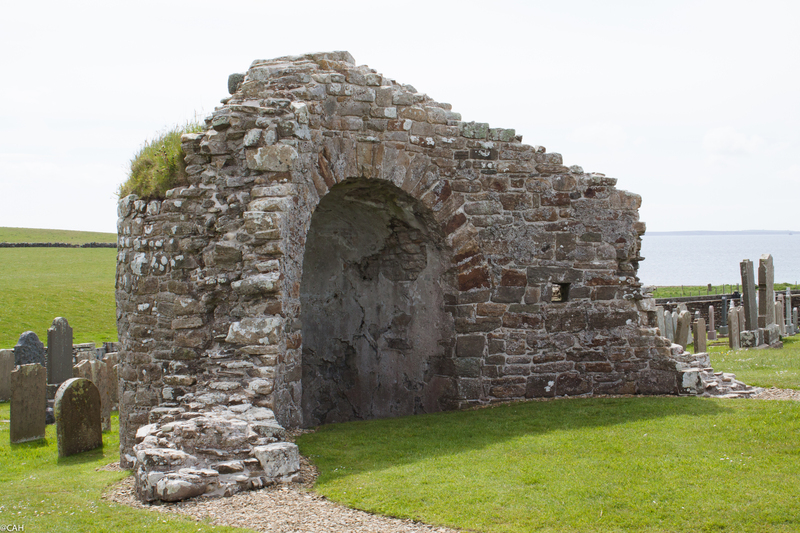 At Ophir, we looked at the unusual circular Nordic church remains and walked along the shore of the bay for a while. 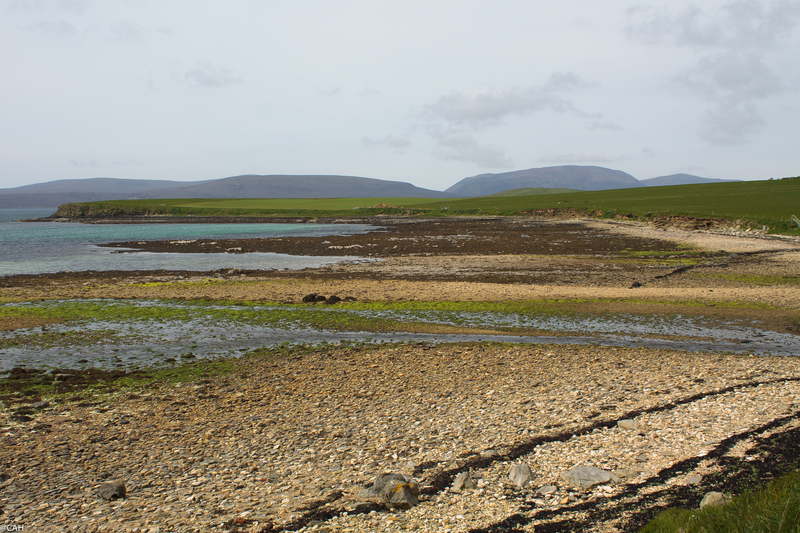 We then headed into Kirkwall via Highland Park (the most northerly distillery in the world) and nearby Scapa for the distillery photo book. We had lunch in town centre place which was not busy. It had free wifi and two guys had obviously overstayed their welcome as they were asked to move to the public library as ‘a cruise ship is coming in’. After lunch we were wandering around town and unexpectedly bumped into a friend from Aberdeen who unbeknown to us, was working here. We spent a great couple of hours ensconced in a coffee shop catching up. When she had to leave to get on with work, we wandered off to the secondhand bookshop we had spotted on arrival and found some more reading material.